The son of the Duke told his stubborn admirer that she must forget him and marry another. Elias Glover, son of an ill-tempered duke, is the apple of Helena Morton’s eye. But because Helena is the daughter of a Russian immigrant and a self-made man, Elias cannot obtain permission to marry her. What’s more, he must stay in his father’s house to protect his mother and his eldest sister from the Duke’s vicious impulses. Helena, at eighteen, is a stubborn maiden who cannot abide uncomfortable shoes, boring lessons, or the loss of the only man she has ever loved. When Helena hears that a heartbroken Elias is determined to pay a strumpet to service him, she makes up her mind quickly. 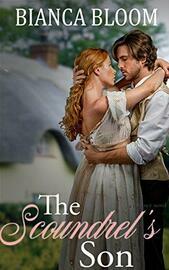 She asks a servant to blindfold Elias and have him wait for the harlot in a little cabin in the woods. She can only hope that she will be able to avoid discovery – and cling to her forbidden love. This is a full-length novel with a simple and saucy ending.